In case you were waiting for some new dinosaurs in Jurassic World Evolution, you’re in luck, as Frontier Developments has added a new expansion. You get some new creatures, a few new missions, new hazards, and a headache full of new problems. 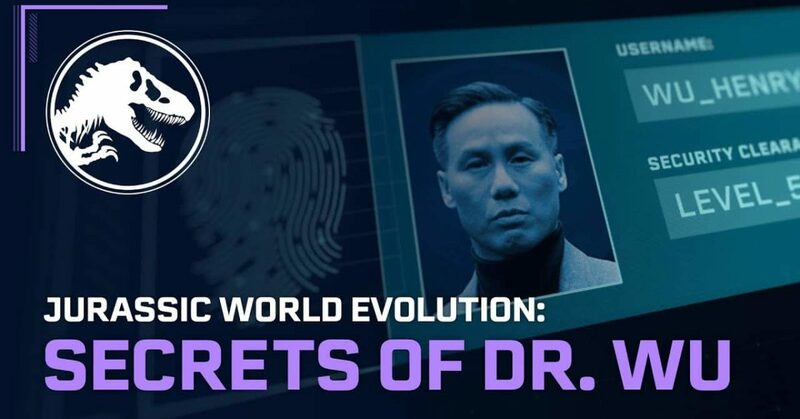 Jurassic World Evolution:Secrets of Dr. Wu unlocks new campaign missions, putting players in control of two hidden research facilities on Isla Muerta and Isla Tacaño where Dr. Henry Wu, voiced by BD Wong, is developing a new generation of hybrid dinosaurs. Players will confront an elevated level of chaos and threat caused by Wu’s machinations as they work alongside the doctor and discover new dig sites, facility upgrades and research opportunities. Jurassic World Evolution: Secrets of Dr. Wu also introduces the herbivore Olorotitan and the venomous Troodon to Jurassic World Evolution, alongside three new Wu-created hybrids: the Stegoceratops, Ankylodocus and Spinoraptor. Players can progress through Jurassic World Evolution:Secrets of Dr. W u missions to unlock new upgrades and research options that can be used throughout the Jurassic World Evolution campaign, including the Indominus Rex’s unique camouflage gene as seen in 2015’s Jurassic World .